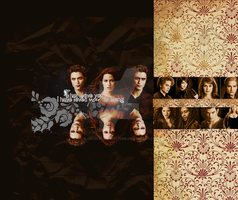 This is one of my favorite wallpaper, featuring kristen stewart and robert pattinson. heeey, thank you so much! i wanna see when you do it, ok? omg im sos sorry i acidentaly pressed "request as a print" when i wanted to fav it. im so so so sorry!!! wow, this looks so great, good work!